AEGEE-Nijmegen has lots of interesting upcoming plans! After having organised a very successful Summer University with AEGEE-Enschede and getting their members involved in some AEGEE-Europe projects, the local has been working hard to bridge the gap with the European level by establishing a committee for that and, furthermore, organising a Network Meeting, which will take place in November. For this reason, our team is awarding the Dutch local as our Member of the Month of August! 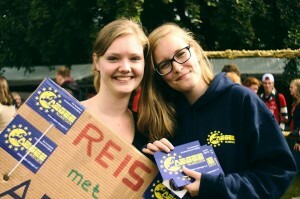 The AEGEEan has asked Isa Beukema, secretary of AEGEE-Nijmegen, about the secrets of the local and their future plans. The AEGEEan: Tell us a bit about your local: when was it founded and how many members does it have? What about active ones? Isa Beukema: AEGEE-Nijmegen was founded in 1986 by Bart Kruitwagen. Every now and then he still drops by at our office. At the end of the year we had 195 members and in September we start with 132 members, so on average we have about 160 members per year. This year we had about 60 active members who made it possible to organize a lot of amazing activities varying from exchanges to lectures about the situation in Ukraine. What do you think makes your local special? That we are very strong at the local level. We organize a lot of activities in Nijmegen and almost every week there is an activity organised by the board and/or our active members for the members. People come from all kinds of studies ranging from law to chemistry. This makes our members a mix of very different people, but I think that it is also the strength of our members. Next to this, we have a committee focused on acting, performing a big play yearly. Within the Network that definitely is what makes us special. 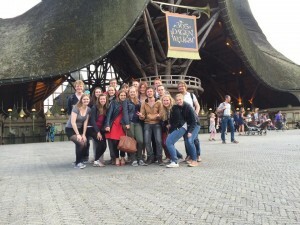 You organised a Summer University with AEGEE-Enschede, what was the topic of the event? The theme was the Dutch Rainbow: Hitchhike past the Hightlights of Holland. During our Summer University we introduced them to hitchhiking and we also wanted to let them think about the situation of LGBT’s in their country and start a discussion about it. Next to this, we wanted to introduce our participants to the Dutch culture and all its typical aspects. And which have been, according to you, the highlights of your SU? There were so many highlights but I will mention a few (smiles). For one, the celebration of the Dutch holiday Sinterklaas, where we ate Dutch food such as pepernoten and they got to meet the real ‘Sinterklaas’ and ‘Zwarte Piet’ and everybody bought presents for each other. Or the day trip to The Hague where the participants got to see the Dutch House of Parliament and even took a swim in the North Sea (only the die hards, because the sea was freezing cold at the moment ;)). Or the party in a gay bar in Utrecht, where at the end all the people had left and we had an amazing time with all the SU people. We even developed a new sport: noodle fighting. I can continue, but I think the article will be too long. Did you find any difficulties during the organisation of the SU? How did you overcome them? 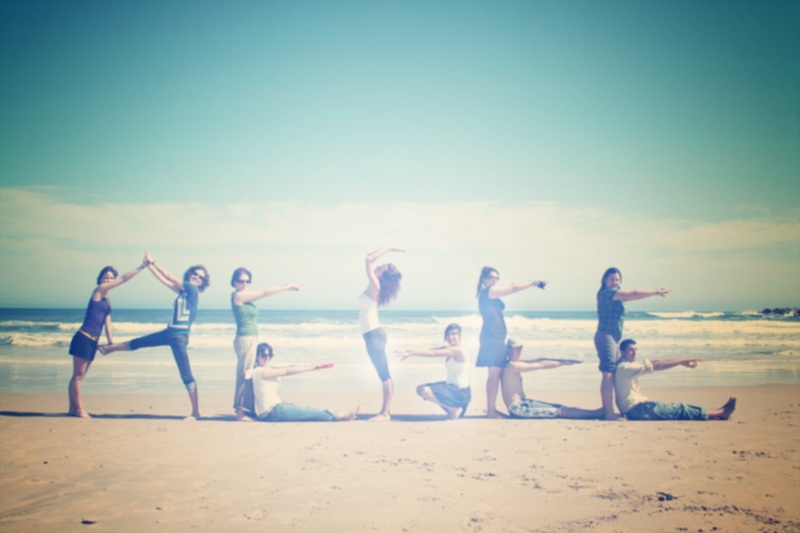 In general we had very little difficulties with the SU. We had an amazing main organiser this year and almost everything was already arranged as much as possible when the SU started. I think the most problems were between the organisers of the SU. But everyday we had a moment that everyone had the chance to say what they had on their chest and I think that solved most of the problems. What about the Network Meeting you plan to organise in November, why did you decide to apply? We have wanted to organise a bigger European event for a long time. 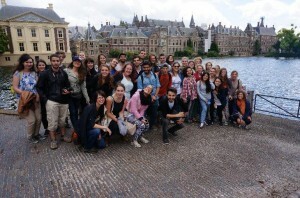 Every year we organise a Summer University, but since more is always better – here comes the NWM Nijmegen! What can participants expect from the sessions? And the social programme? We have planned on doing discussions on the Agora outcome, and how to apply them to you local. There will be room for sharing your best practices and also workshops on personal motivation. Besides that, we will also have workshops about European level bodies and the Action Agenda/Strategic Plan. We have also planned a city tour and obviously there will be a European Night! Many of your members are starting to get involved in the European level, how do you promote it among your members? Since the end of last college year, we have a new committee. The people in this committee are our masterminds on European level and the ones reaching for and planning the NWM. This committee also actively promotes AEGEE-Europe’s Working Groups, Committees, Events, and so forth. Which other plans does AEGEE-Nijmegen have for this term? For this term we have planned many things. Not only the NWM, but also another team of enthusiastic SU organisers is getting ready. The new board is getting their knowledge transfer as you read and they are getting ready for many more exchanges, trips, hitchhiking contests and so forth.